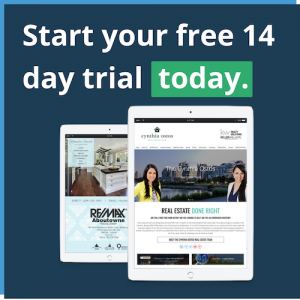 Is it possible to become a successful real estate agent in a less than 2 months? New real estate agents will be happy to know that the answer is yes. 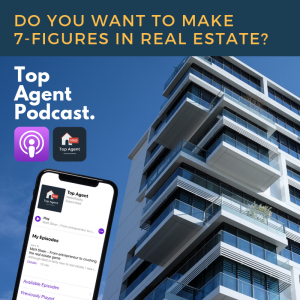 Matt Sloan’s transition into real estate shows us that if create a consistent routine of hard work, self-discipline, and willingness to spend some of your free time sharpening your real estate skills, you too can be a Top Agent. 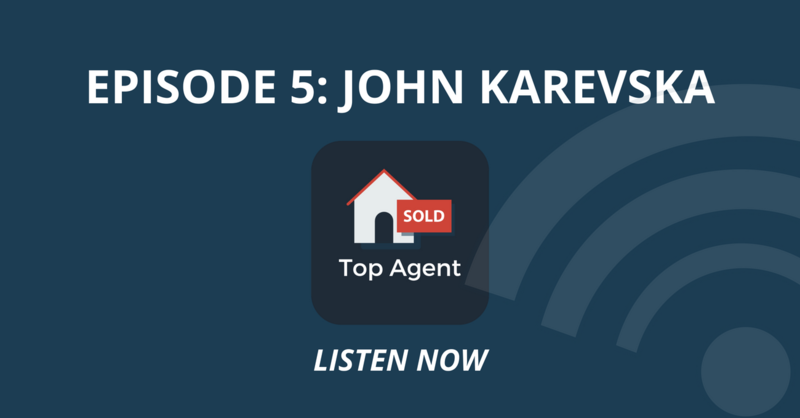 Veteran realtors know that one of the most intimidating aspects of breaking into the real estate world is realizing how much you need to learn, and how much work you need to do to build up your list of contacts. Becoming a successful real estate agent requires you to adopt an entrepreneur’s mindset from day one, in order to push forward even when you don’t feel like it. Conventional wisdom tells us that a new real estate agent needs to build at least a three-month cash cushion, because it takes a while to become a well-established “local real estate expert”. It seems like Matt Sloan didn’t read that conventional wisdom memo, because he became a Mississauga real estate expert in less than two. 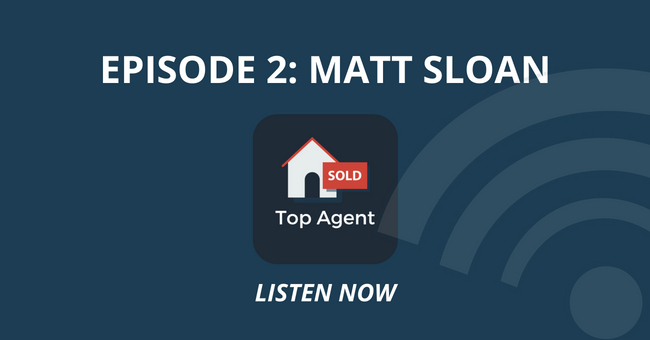 In today’s Top Agent Podcast, Matt Sloan tells the story of how he made the transition from the restaurant industry into real estate. Even though he is new in the real estate game, he has had an entrepreneur’s mindset for many years already. Matt understands that real estate is constantly evolving industry, and a successful real estate agent needs to constantly adopt new technologies, and new marketing methods. That’s why he puts a lot of effort on his online presence, particularly his Instagram page. When Matt isn’t closing deals, he spends some of his free time studying emerging real estate techniques, or hitting the gym. Kosta: Matt, thank you so much for chatting with me today. Matt: Thank you for having me. Kosta: Awesome. So one of the main reasons why I wanted to have you on is because you’re a true entrepreneur through and through, which I certainly admire and respect a lot. And, you also have a very inspiring backstory that I think our audience will find very encouraging. Can you tell our listeners a bit about, your background and how you came to be a realtor? Matt: I don’t know how far back we want to go, but I guess just we’ll start with how I got into the, I guess entrepreneur life, if you want to call it, you know, what kind of got me going in the beginning of my business career, which would have been starting a restaurant. Um, I always, I was always in, I was always in the service industry, always in the bartending, managing restaurant industry, the food industry and loved it and decided it was time to maybe take that step and, you know, open up my own. Um, so I got into a franchise and it went really well, um, opened up two locations, but after seven years, seven and a half years kind of found myself wanting more, something a little bit different. Um, and something where I could kind of brand myself, you know, make it my own. Um, so I ended up getting out of the restaurant industry, selling those two restaurants to those two locations and wrote down on a piece of paper what I really wanted for the, you know, the next little stage of my life. And I found myself, found the arrows, kept pointing to real estate. Um, so that’s when I decided to take the leap and, you know, take this past year to get my license and now I’m fully invested into it. Kosta: Awesome. Love it. What are some of the biggest challenges you’d say that, that you’re facing as a realtor in this new profession? Matt: You know, honestly, there, there’s so many different things and I’m trying to. What I’m trying to focus on is kind of one step at a time with not necessarily what’s working, but what I believe is going to work. Um, and, and just focusing on that, um, you know, obviously we can just say, you know, the typical thing of, Oh, when you’re starting out, it’s tough to get leads and it’s tough to get business and blah, blah, blah, blah blah, but, you know, and I’m not, I’m not going down that negative road. Um, I’m just focusing on doing the right things and building the foundation so that, you know, the business will come and I’ve started to see results from that already. Kosta: So if I can hone in on that a little bit, I mean, one thing that I love is you’re absolutely killing the instagram marketing game and I would encourage all of our listeners to check out Matt’s instagram page. I mean, it’s quality of posts and engagement is off the charts. But, you know, in your, again, young real estate career, what are some of your favorite and most effective marketing strategies, um, that, that are given you are, you’re starting to see some ROI on that you can share with our audience. Matt: So yeah, so instagram is obviously a huge thing for me right now. Um, you know, what I can be so much better at it, which is what I realized and which is what I love about it, um, to begin with is that there’s always more that you can do. So I’ve tried to find a good routine with it that I can stick to. Um, what I’ve learned in business before and especially being in the food industry is like consistency is everything. So I mean that’s why I’m kind of just honing in on one or two specific things at the moment because I know how important it is to be consistent. You know, there’s, there’s a million things you can do to generate leads and to generate business. And if you do, you know, a little bit here, a little bit there, a little bit here, a little bit there. Maybe you find results, but I don’t think it will be sustainable. Um, so that’s why I’ve kind of focused in on instagram to really like be consistent with posts and stories and content and from that I’ve been seeing a return. I’m from the people that are already in my network. Kosta: Yeah, totally agree. Yeah. Consistency is key with absolutely anything you do, especially with marketing. I totally agree with that. Um, you mentioned at the beginning, um, you know, you wrote down some of your goals. You seem to be very goal oriented, which is very important. Um, again, I, I know you’re only a couple of months into, into real estate, but I’m, you know, I’m a numbers guy. I love getting into sort of revenue commissions, margins and all that fun stuff. Can you share with their audience, you know, what, what your goal is for how many transactions do you want to close and let’s say the next 12 months. Matt: Wow. So, um, it’s, that’s a good question. I’m gonna throw a little curve at you because I don’t have an actual answer for that. I don’t know if that’s the right thing or wrong thing. Um, my goal is just to continue to grow my business to just, I just want to keep moving forward, keep doing the right things, and then I know, I know the end results will come. Whatever those end results are, I will be okay with as long as they continue to grow. Um, I don’t want to set focus on a number because then, you know, two things are gonna happen. One thing I’m not going to hit that number and then I’m going to be pissed off and get down or I am going to hit that number and then maybe I might not be as motivated as I am right now. Um, so she was always generating new business, always finding new things to do, always staying consistent, always staying busy. That’s my, that’s my goal right now. That’s where I’m trying to head. Kosta: No, that’s a great answer. Great answer. Awesome stuff. I’m sure you can agree, like real estate has sort of changed a lot, especially in the last few years, five, 10 years. Um, how do you see the real estate landscape changing in the next five to 10 years? Matt: A good question. It’s a lot of, it’s a question that a lot of people hop at the moment, just being with technology and, you know, um, social media impacting like our world so much right now. Um, you know, through, through, um, the online pop forums through through podcast like we’re doing right now. Um, I don’t know exactly. I wish, I wish I wasn’t magic eight ball and could really tell you where it’s going to go. I just know that technology will be a part of it. I’m and Internet and everything that we’re doing right now will be a part of it to what scale, I’m not sure. Um, and that’s Kinda where I’m at right now with it. So just being involved with instagram marketing or facebook marketing or podcasts like such, um, being involved with that and, and knowing it works I think is important. How it scales towards real estate. I’m not really sure at the moment, but um, that’s all I see. Kosta: Yeah, you’re right. I mean technology is definitely taking over. I think it’s really important to, to taste and try new things, which I see you are a. So yeah, I think that’s very important. Um, so like I want to be mindful of your time and I like to wrap up each interview with what I call the top three. So number one, your top real estate or business book that you’ve read? Matt: Oh, um, to be honest, right now I’m, I’m just more of a guy searching the internet and listening to podcasts and watching youtube videos and taking in content myself because I know that’s, like I said in our previous question, their answer, that’s where the world’s going. So I’m trying to, I’m trying to keep my downtime if you want to call it downtime, um, towards that. So listening to podcasts, watching youtube videos, just searching the web. I’m trying to learn about the market taking in staats on travel and everything. Um, to really broaden my knowledge with what’s actually happening in the market right now. Um, so that’s where I’m devoting most of my time. Kosta: Okay, perfect. Number two, your top vacation spot. Matt: Top vacation spot. Um, you know what, as much as I love being busy, I just also love going down to anywhere in the Caribbean and kicking up my feet for a week and doing absolutely nothing and just go into an all inclusive and taking in drinks and just soaking up the sun. But yeah, I’d say anywhere, anywhere down south. Kosta: Perfect. And Matt, if you can go back 12 years, what do you wish your 20 year old self knew? Matt: To buy as much real estate as possible. Buy whatever you can get your hands on. Doesn’t matter how much it is, doesn’t matter how good it is, just buy property, buy real estate because you know what? It’s great long term investment and no matter what the market is today, uh, if you look at charts going back 30 years ago, it just continues to grow and grow and grow and grow so you can’t get so caught up in what the market is doing today. Um, as long as it’s a longterm investment, you know, get into it and whatever you can, uh, you know, invest in the future and it, and it will pay, will pay in the end. Kosta: Perfect. I totally agree. And just lastly, people on it to get a hold of you or reach out, where can they find you? Matt: That spot is instagram right now. I’m at Matt Sloan Realtor and uh, yeah, you can find me on there or just search matt sloan real estate on Google and you’ll find one of the best websites. Kosta: Nice plug. Nice plug. I’ll put all that in the show notes by the way, but uh, for sure. All right man, it was a true pleasure and thank you so much for the chat. Thank you brother. We should definitely do it again. Yep. Any time. I’m always here. I’m always around. All right, my man. We’ll talk soon. Okay.